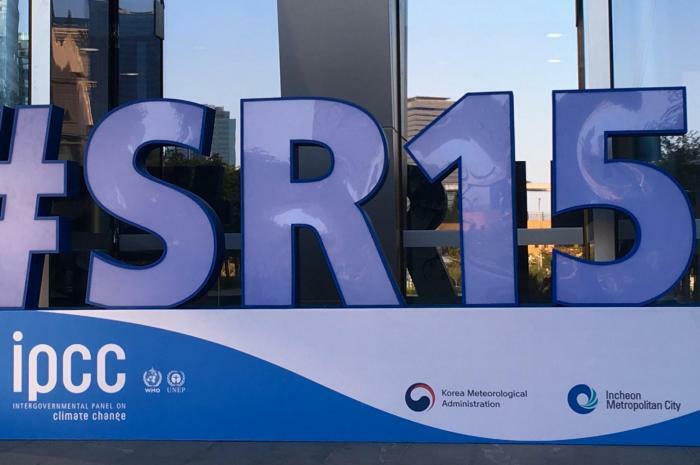 Prof Ray Bates discusses some points raised by a critic in response to his recent analysis of the latest IPCC summary report (SR 1.5). 1) Prof. Thorne states that my critique of SR1.5 was not peer-reviewed and should not be referred to as a paper. His statement is incorrect. My critique was peer-reviewed. I wouldn’t list it in my CV as a journal article, but it is correct to call it a paper (see the Oxford Dictionary). That said, it matters little to me whether my publication is called a critique, a piece, or a paper. 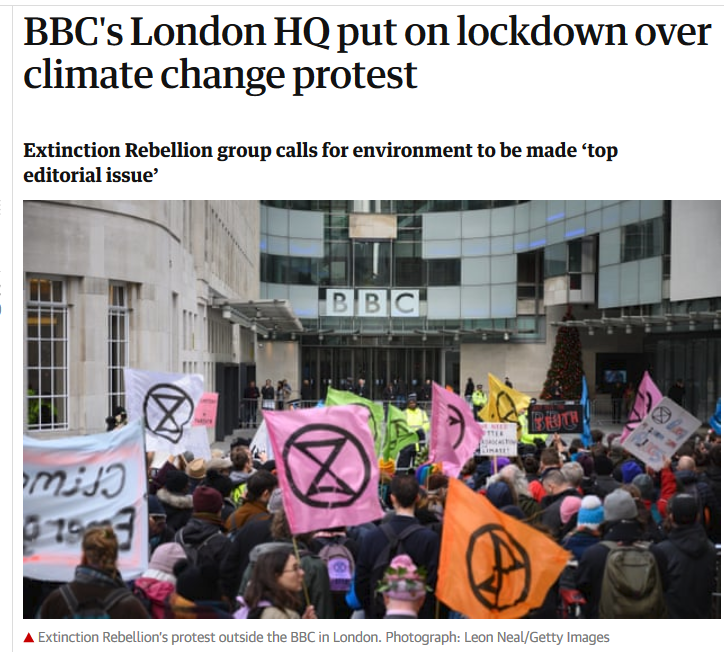 What are they trying to do – make Greenpeace look tame? A case of the biter bit! Germany – where you can drive at twice the UK legal speed limit on the autobahns, burning fuel at a furious rate, but they still claim to be worried about ’emissions’. Why would a major industrial country want to transition to intermittent and largely unpredictable power sources? No-one can make the sun shine or the wind blow on demand, so unless there are going to be massive and extremely costly reserves of power from other sources cutting in every time the wind drops and/or it gets dark, it seems Germany’s energy problems can only get more acute as it retreats from both coal and nuclear power. 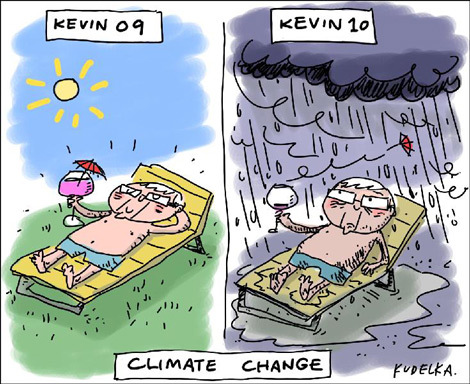 Fear of imaginary climate hobgoblins is clouding their judgment. 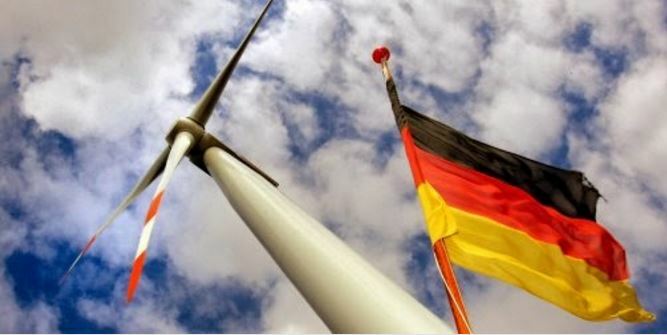 Although Germany has been a global leader in moving to decarbonize its massive economy, the country’s ambitious clean-energy transformation is faltering, says YaleEnvironment360. Now, a broad spectrum of energy experts are working to revitalize the effort to make Germany nearly carbon-free by mid-century. 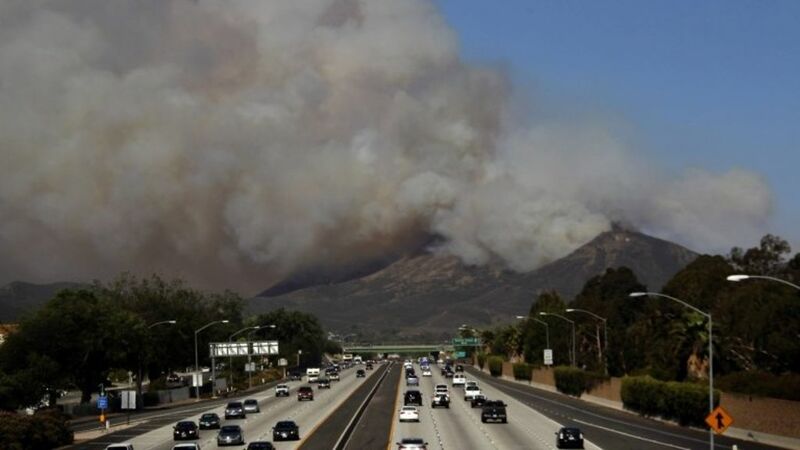 From huge wildfires to cold stormy weather in a matter of a few weeks in California. A powerful storm will crawl across the southern tier of the U.S. over the next several days, delivering snow, ice, rain, floods and even a few tornadoes, says USA Today. A powerful storm that slammed southern California Thursday will crawl across the southern tier of the United States over the next several days, delivering a nasty mix of snow, ice, heavy rain, floods and even a few tornadoes. Ahead of the storm, Oklahoma Gov. Mary Fallin declared a state of emergency for all 77 counties in her state. 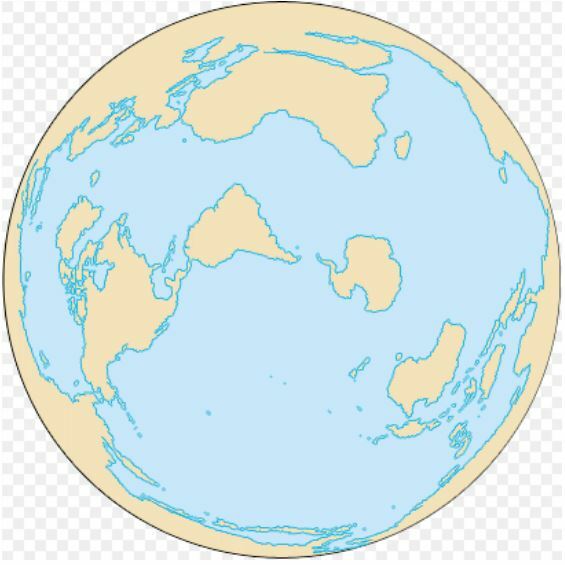 Playing around with CO2 levels doesn’t work, either in climate models or real life. Run the above experiment 1 billion times and you will get 1 billion identical outcomes. 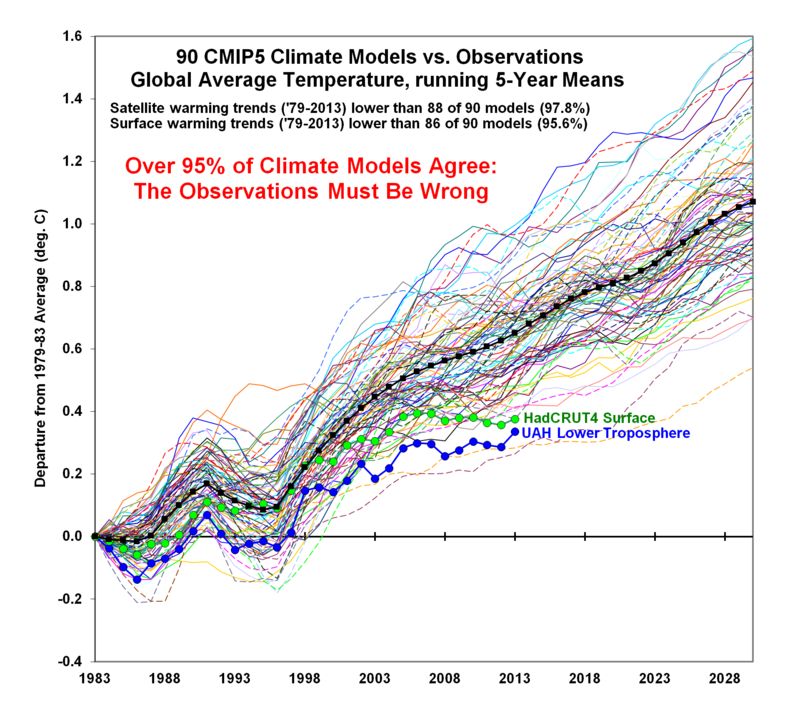 Now, look at the “settled science” of climate science. 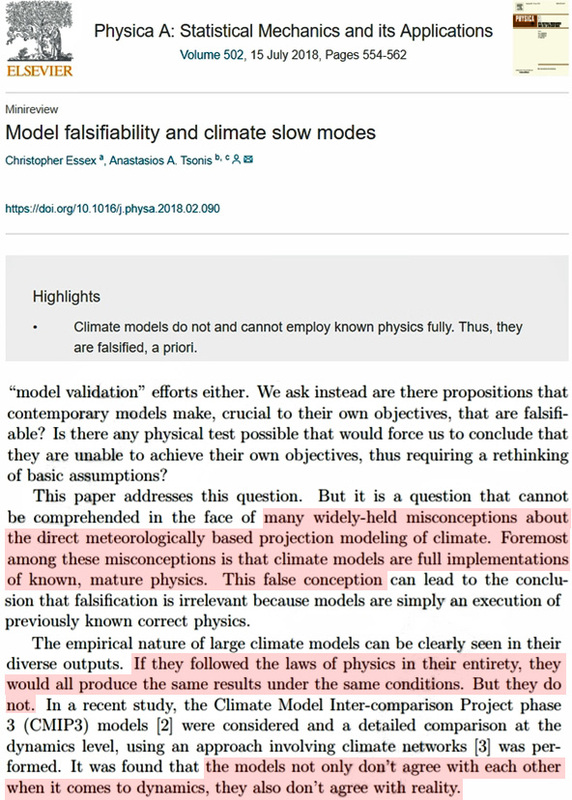 They have multiple models, none of them agree, and worse, they don’t accurately reflect reality. The only thing “settled” about climate science is that the climate experts don’t have a clue as to how to model the climate. Don’t take it from me, listen to the true experts. 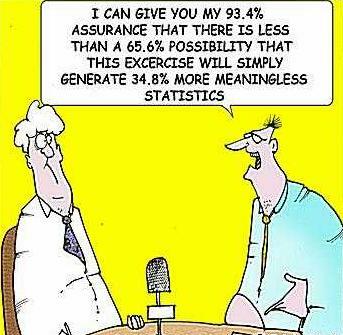 Misleading manipulation of climate-related stats is an ongoing issue, as explained here. It is said that a picture is worth a thousand words, says David Whitehouse @ The GWPF. In science communication however, a simple graph can be worth far more than pictures particularly when the main point is that the last four years have been the hottest on record. The last one finished in mid-2016 and was one of the strongest on record. The World Meteorological Organization says there’s a 75-80% chance of the weather phenomenon forming by next February, BBC News reports. 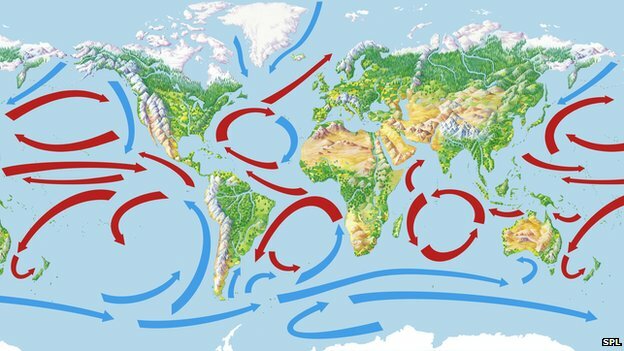 The naturally occurring event causes changes in the temperature of the Pacific Ocean and has a major influence on weather patterns around the world. 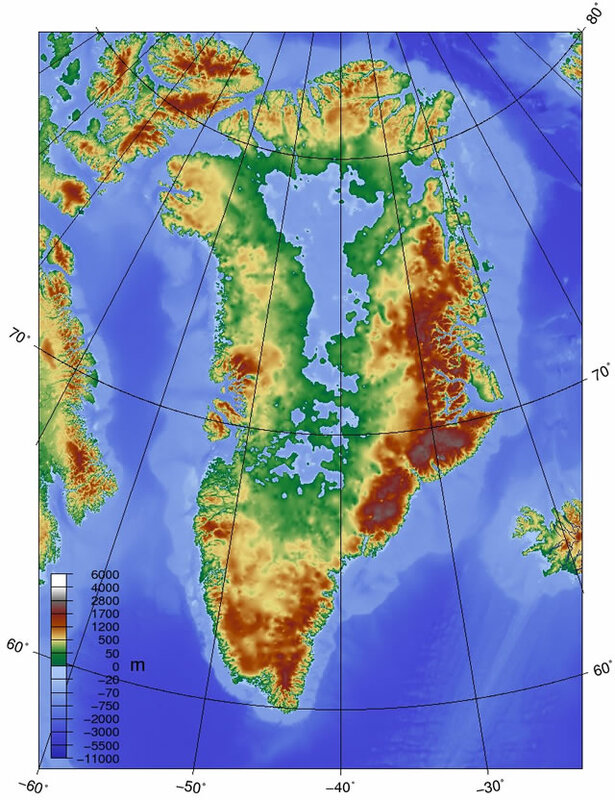 It is linked to floods in South America and droughts in Africa and Asia. Hot on the heels of the latest, much-derided US climate report, the UK Met. Office’s crystal ball gazers have waded in with their own prognostications. 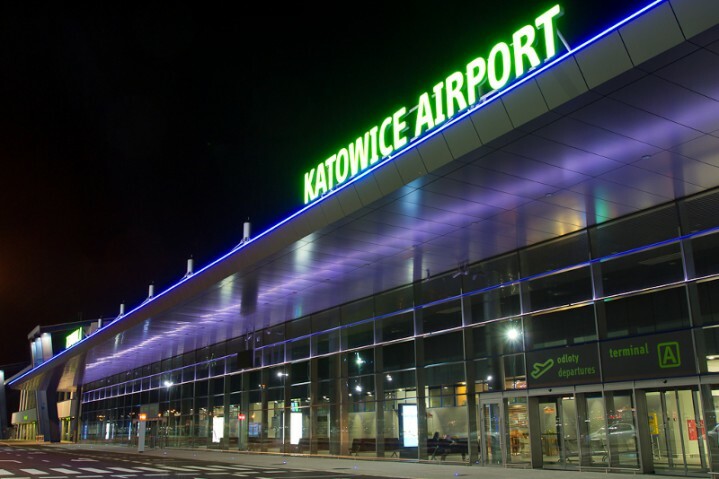 They offer a ‘range of future scenarios’ which are based on concentrations of trace gases in the atmosphere, because that’s what they believe matters the most. Their predictions, or projections, are…predictable. Look out for words like ‘could be’ and ‘up to’. Mayhem in France. 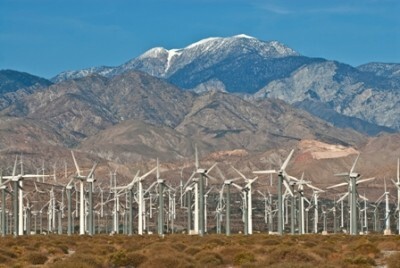 An attempt to escalate an unpopular tax, supposedly climate-related, is going badly. Other national leaders may want to take note of the public reaction. 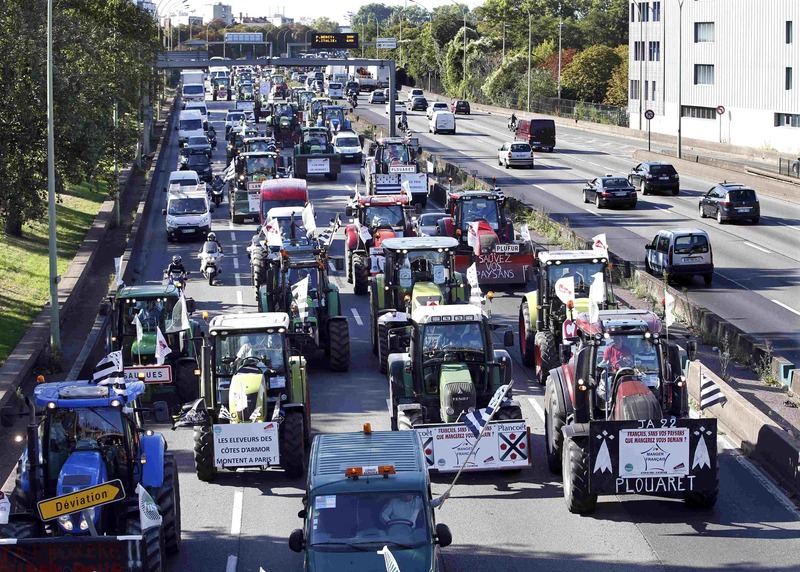 The revolt against President Macron’s environmental taxes escalated today as protesters tried to block fuel depots around France, reports The GWPF. The move came after a second night of violence in which demonstrators have already caused chaos across the country. 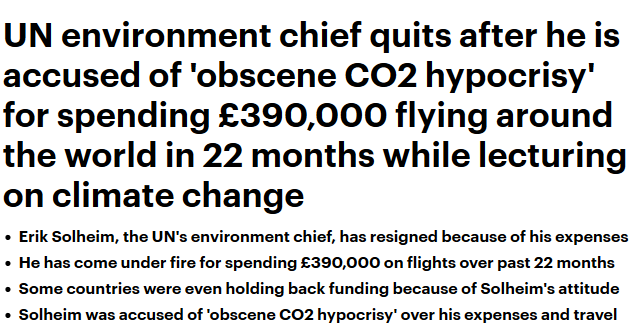 Leaders preening themselves on their supposedly green virtue signalling policies are running into some unpleasant realities. 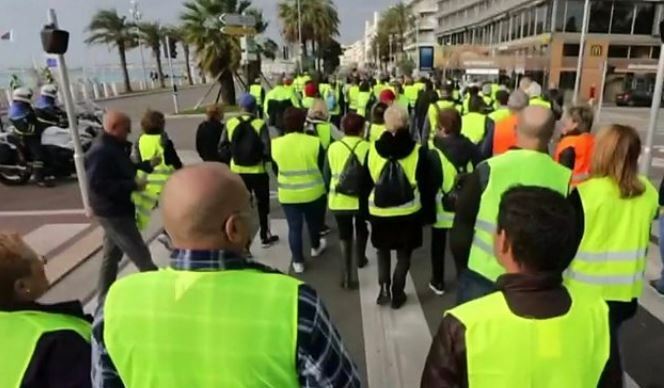 France is bracing for a nationwide revolt over the weekend as angry drivers plan to block roads nationwide in protest against the government’s carbon tax and rising fuel prices, says The GWPF. The French government approved a measure in late 2017 increasing a direct tax on diesel as well as a tax on carbon, allegedly to fight against climate change. 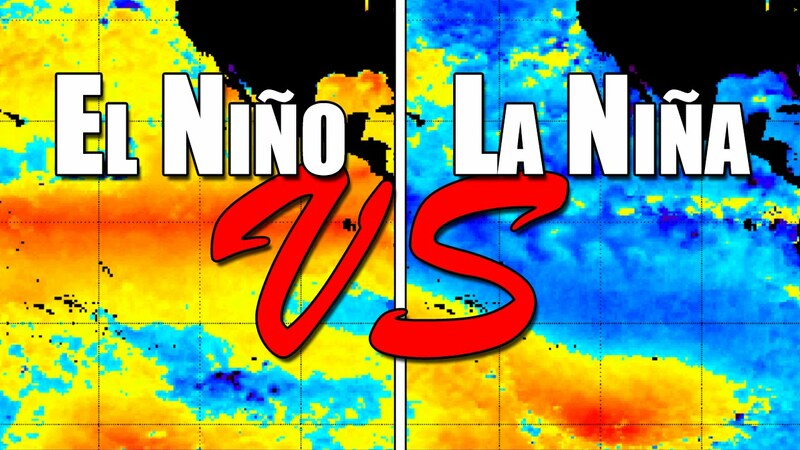 The latest NOAA synopsis says: ‘Overall, the oceanic and atmospheric conditions reflected ENSO-neutral, but with recent trends indicative of a developing El Niño.’ Sounds like a ‘definite maybe’ there, with models now forecasting a relatively weak El Niño. Warming waters in the equatorial Pacific give increasing confidence that El Niño will be here soon, says Discover magazine. Clearly the main reason for not putting a news item on the front page is that it won’t help to sell the newspaper. UK weather variability is standard. 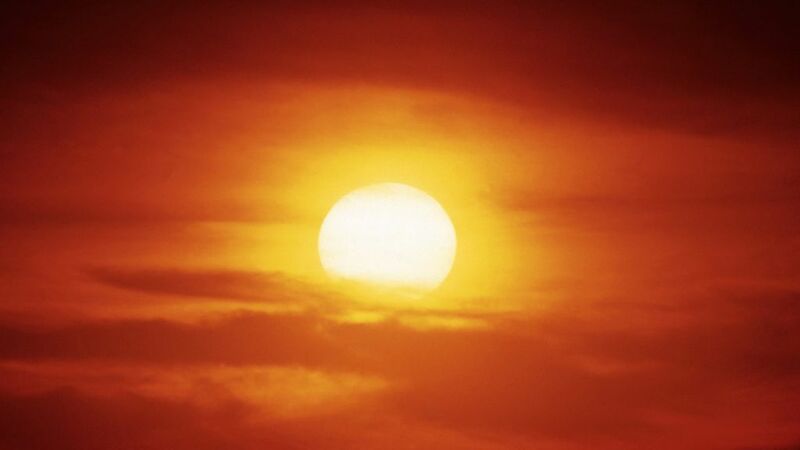 Today’s frontpages of most UK newspapers ignore the new IPCC report, reflecting the declining concern of most Brits about the climate agenda – despite the habitual alarm, says The Global Warming Policy Forum (GWPF).